To grant your wishes and requests we can organize unique programs for daily excursions which will give you the opportunitie to get to know the beautiful sites of our country (mountains, lakes, towns, seaside ...). The Slovenee Riviera (Slovene: Slovenska obala) is the coastline of Slovenia, located on the Gulf of Trieste, by the Adriatic Sea. 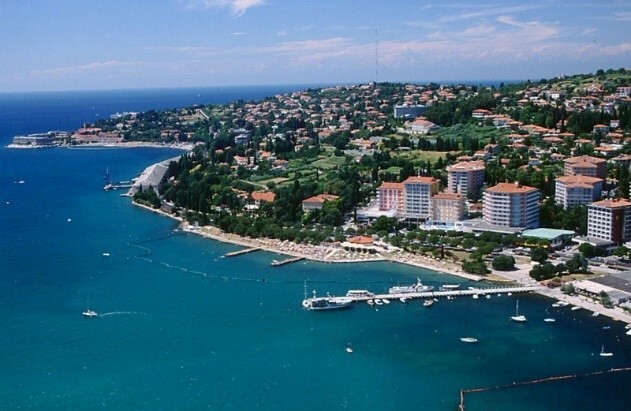 It is part of the Istrian peninsula and is 46.6 km long.The region comprises the towns of Koper and Piran, and the municipality of Izola. Located in Slovene Istria, the Riviera belongs to the Coastal–Karst Statistical Region and to the historical region of the Slovene Littoral. It is bordered to the north by Italy and to the south by Croatia. The northernmost point is the headland of Debeli Rtič, by the Gulf of Koper; and the southernmost one is the village of Sečovlje, by the Gulf of Piran, located close the Sečovlje Salina Nature Park. The “Goriška Brda” wine cellar was founded in 1957 as a cooperative and is still completely owned by its members. 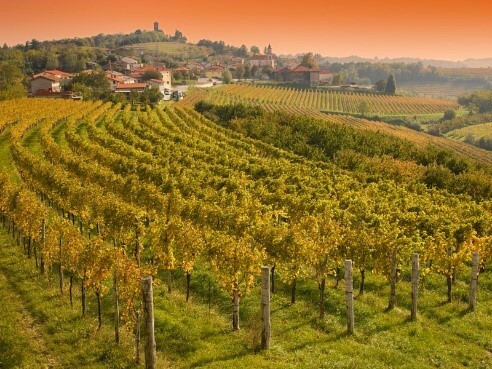 It manages 1000 hectars of vineyards spread between the Adriatic and the Alps. The vinegrowers truly believe in a sustainable development, the majority of vineyards is included in the intergrated system of wine-growing, resulting in a superior quality of grapes and wine. The 1.6 km long Vintgar gorge carves its way through the vertical rocks of the Hom and Borst hills and is graced by the Radovna with its waterfalls, pools and rapids. The educational trail leads you over wooden bridges and Žumr’s galleries and ends with a bridge overlooking the mighty 13 m high Šum waterfall. 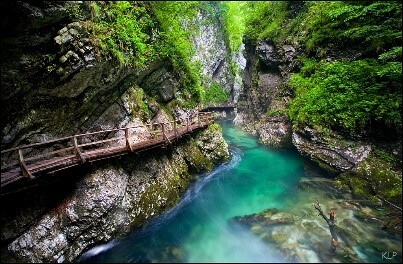 Bohinj is the home of many Slovene fairy tales. It attracts with natural beauty, cultural and sports attractions. It shows you a different face every season. Peaceful lakes and booming waterfalls, deep gorges and silent pools, timid animals and luxurious alpine flowers, impressive creations of nature and majestic natural phenomena. 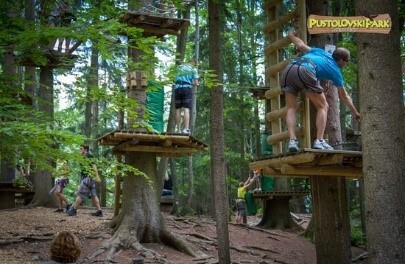 Family Adventure Park on Straža Bled is a park of unique challenges. It is set up in the natural environment of trees. And this is what gives it a special allure. Healthily spent day in nature with lots of fun would appeal for everyone – children and adults, singles, couples, familiy or group of friends. 24 km of passages, galleries and magnificent halls offer a unique experience of the underground world. 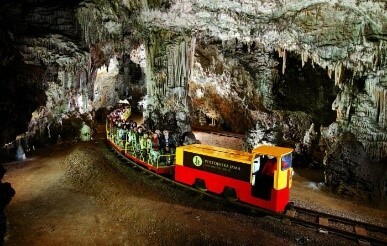 The Postojna cave is definitely one of the most diverse cave systems in the world. It is the largest cave in the “classic karst” and the most visited show cave in Europe. 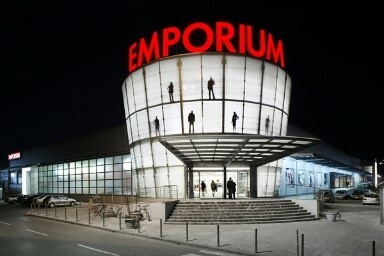 The great thing about Ljubljana is the old-fashioned way of shopping in the city centre street stores and little boutiques. Nearby open-air central market is the place to buy fresh local vegetables, fruits, flowers but cheese, meat, fish, backery products are offered in covered market facing the LJubljanica river. The City Park, the biggest shopping mall is situated a couple of kilometres from the centre, together with many outlet stores, Water Park and entertainment city. The history of the Lipica Stud Farm is so rich that it tells thousands of different stories in the light of cultural and natural heritage. 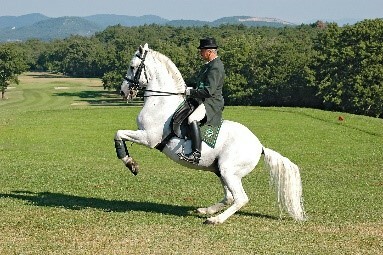 All stories are breeding pure-bred Lipizzaners which gave an indelible mark to the appearance of Lipica as we know it today. Only when walking on the historical paths we can truly experience the greatness of the local equestrian tradition. A step back in time. 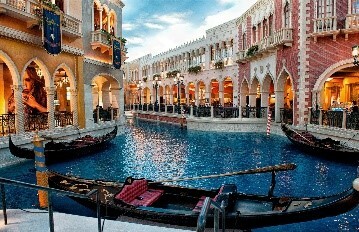 Visit one of the most magical and romantic cities in Italy. It is located in the marshy Venetian Lagoon which stretches along the shoreline, between the mouths of the Po and the Piave Rivers. Venice is renowned for the beauty of its architecture, and its artwork. The miniature world at Lake Wörthersee, is a place to enjoy, stay a while, learn interesting things, have fun, see and experience. 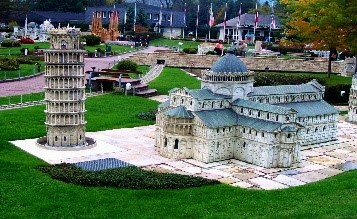 The approximately 150 models of famous structures, trains and ships take visitors on a trip around the world ina miniature format.